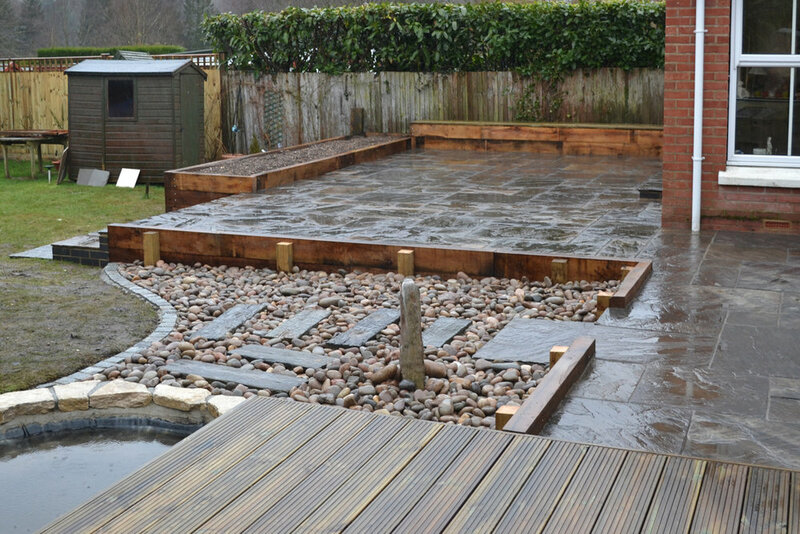 New slab patio with retaining Oak sleepers and planters. Created a new decked area. Supplied edging to customer's existing pond and created beach-style area including stepping stones to grass and stone monolith feature.